It can be hectic in today’s modern age. We focus more on our jobs, businesses, and families. Most people have limited time available to have their commercial properties cleaned. In this article, we can help you know the factors in choosing a janitorial agency in the Philippines. Hiring from a janitorial agency or a manpower agency in the Philippines can help clean your commercial space and can save you from tons of headaches. Whether you have a small or large company, let the janitors do their job while you focus on your business. 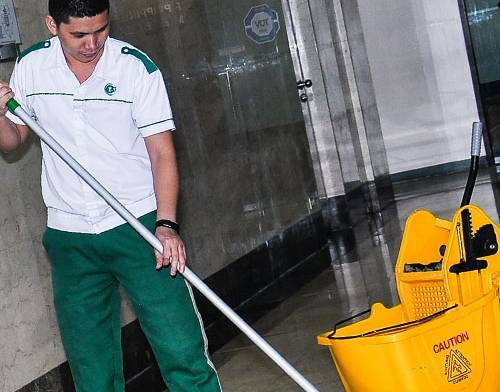 Here are some factors to look at when choosing a janitorial agency in the Philippines. You should choose a janitorial agency with workers that are highly trained, skilled, and experienced. They can deliver quality results with cleaning. Ask for information about the training that the janitors receive; who trains them and how their training is updated. It is important to know the type of equipment the cleaning agency uses. Ask about the products and equipment that they use. What’s the quality of their products and equipment? Are they environmental friendly? Get an agency that can give you what you need. For example, if you need a janitorial agency that can help you polish your commercial space weekly, the company itself should have the necessary set of equipment along with other general cleaning tools. Cost does not mean just the price of the product used by the janitors. There are major factors that determine a product’s cost-effectiveness. Cheaper products may seem economical, but they may not be as effective as the expensive ones, and may not show good results. You might end up spending more than expected. Determine the type of service the agency provides. In some agencies, they only offer specific services while there are those that offer a wide variety of services. Therefore, keep in mind that it is important to hire a janitorial agency that meets your cleaning requirements. Research about the company you wish to get services from. This includes reviews and other details about the agency. The agency’s reputation helps in evaluating the skills of its employments. At the end of the day, you will eventually want to see quality cleaning work. Hiring from a janitorial service company instead of cleaning it yourself gives you more time to focus on your business. It also means you trust that the agency will give you excellent results. Are you looking for a janitorial agency in the Philippines? Contact us today and let us help you!